I am so glad you are here. If you are reading this, it’s likely that you have at least three months to prepare for the ACT, and that is a huge relief to me. If you’re taking the ACT in 3 months that means you have plenty of time to get fully prepped without letting your grades suffer or resorting to unhelpful cramming or undue stress. This really is the sweet spot for being well-prepared. But when your ACT date is in the distant future (three months can seem like forever), it can be tough to stay focused and not get distracted by other more pressing deadlines. The best way to stay on track and reach your goal is with a study schedule–so voilả! Save the study schedule below on your computer or phone, print it out, tape it to your mirror, check it off–do whatever you need to do to keep yourself accountable. You will thank yourself when you ace the test. If you have less time before your test, you might want to check out the one month study schedule instead. Or if you’ve really let it slide (oops): the one week schedule. This is a weekly schedule that is designed to give you some flexibility. The ACT is important, but it shouldn’t be your entire life. You need time to do other things, and you’ll want to decide on your own which days you will devote to studying and which you won’t. Altogether, the weekly work should take you between 8 and 10 hours per week, so make sure you divide it up! Don’t try to do it all on Saturday–that would be one rough Saturday. Personally, I suggest studying for three days during the week for a couple hours each day (this could include some study hall time at school!) and devoting about 3 to 6 hours on the weekend for things like practice tests and review, but if your schedule is more erratic, you can adjust it to whatever works best for you. The point is to make sure you dedicate specific days to study, so whether that means regular study on Monday, Wednesday and Friday, or a marathon study session every Tuesday, decide in advance what your ACT study days will be. By the time you finish this study plan, you will have completed at least seven full ACT tests and hundreds of additional practice questions. Not too shabby! Magoosh Lessons: Watch our lesson videos for strategy and background information. If you’re completely comfortable with a topic already (for example, with triangle properties), you might want to skip through a lesson quickly. That’s all right, to an extent, but never pass over a lesson completely because there might be very helpful tips and tricks you didn’t know. Magoosh Practice: Click the “Practice” tab at the top of the page from within your Magoosh account, and you can customize a practice session that contains the topics mentioned for each week. For each and every question you get wrong, WATCH THE EXPLANATION VIDEO. This is the most important part of your preparation—you need to isolate where you make mistakes and learn how to avoid them. Blog Reading and Video Watching: These ACT blog posts will provide you with additional test tips and strategy advice. They’re a great supplement to the lesson videos. Practice Test: One day a week, you’ll need either approximately 1.5 to 2 hours (for a half test) or 3.5 hours (for a full-length practice test) using official released ACT tests or Magoosh tests. This is massively important for building up your stamina. The ACT is a marathon—you need to train to feel comfortable taking such a long test. Our very own practice test includes over 200 of our premium questions in printable, PDF form. 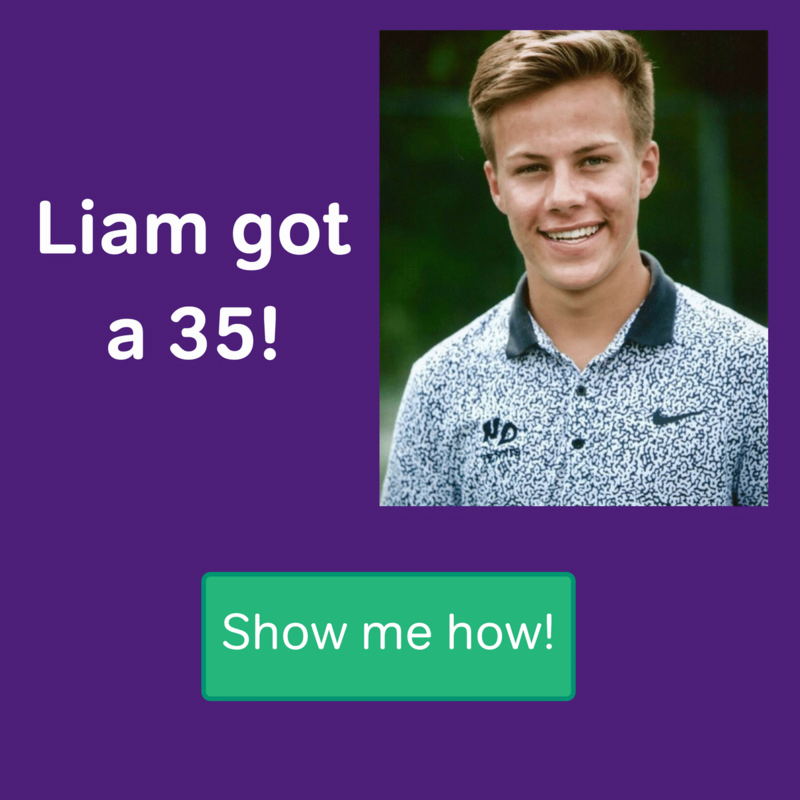 Take it like you would any other timed practice test, score your test using our raw to scaled score grader, then watch the explanation videos for the questions you missed. There are several ACT video lessons on Magoosh that we don’t have time for on this plan. This is particularly true on Math. There are also many Math video lessons that cover more fundamental review or take a more advanced look at topics. When you have extra time, watch the lesson videos on the topics you feel you need the most. For extra practice, you can always practice with additional questions in Magoosh or use the practice questions on the ACT website. Complete the English and Math Sections from the “Improving Your ____ Score Chapters” in The Official ACT Prep Guide. Make sure you set aside the time to practice these back-to-back. You are practicing stamina! Check your answers and continue to update your error log. Review text and/or video explanations for incorrect answers, and update your error log. Has the Format of the ACT Science Test Changed? 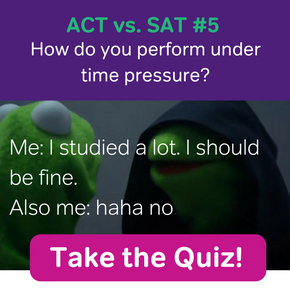 Complete the Reading and Science Sections from the “Improving your ________ Score” chapters in The Official ACT Prep Guide. Make sure you set aside the time to practice these back-to-back. You are practicing stamina! Test 1 in The Official ACT Prep Guide. You need 3.5 hours of COMPLETE SOLITUDE for this. No phone, no music, no internet, and no TV! Try to mimic the conditions of the test as closely as possible. Make sure to review your error log before you begin so that the mistakes you want to avoid are fresh in your mind. Make sure to find a quiet place and to complete the practice test in the allotted time limits. We’ll talk about the essay later in this study schedule, but for right now, don’t worry about it. Review text and video explanations for questions you got wrong. Update your error log! Test 2 in The Official ACT Guide: Reading and Science. Remember to find a quiet space, time yourself, and update your error log when you are done! Test 2 from The Official ACT Prep Guide: English and Math. Remember to find a quiet space, time yourself, and update your error log when you are done! Review all incorrect answers. Go to the “practice” tab, set the question pool to “incorrect” and the number of questions to “no limit.” Continue to update your error log. Test 3 from The Official ACT Prep Guide: Reading and Science. Remember to find a quiet space, time yourself, and update your error log when you are done! Review all incorrect answers. Go to the “practice” tab, set the question pool to “incorrect” and the number of questions to “no limit.” Remember to update your error log. Test 3 from The Official ACT Prep Guide: English and Math. Remember to find a quiet space, time yourself, and update your error log when you are done! If you are taking the essay, practice outlining an essay from the ACT here or use one of Magoosh’s practice essays (go to the “practice” tab, select “practice test” and skip to the end of a practice test to find a prompt.) Spend 15-20 minutes on your outline. Complete the practice questions in every section available on the ACT website. If you are taking the Writing test, make sure to write a complete essay. Complete two sections of whichever subjects you feel you need the most work on at this point. 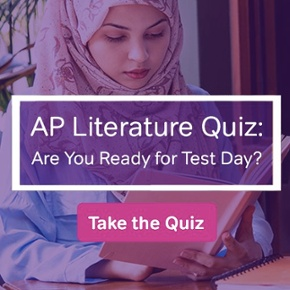 You can either complete these on Magoosh (go to the “practice” tab and select “practice test”) or use the questions on the ACT website under Sample Test Questions. Review all incorrect answers. Go to the “practice” tab, set the question pool to “incorrect” and the number of questions to “no limit.” Update your error log! Use the practice test at the back of the Preparing for the ACT guide–it is the most recently released ACT test available! Print it out, and make sure you set aside the time to complete the test in one sitting. Remember to review your error log before you begin so you are on the lookout for anything that normally trips you up. I recommend taking this one at a library or other quiet place where you are surrounded by other people. If you are taking the essay, make sure to do the essay as well and ask a trusted friend, parent, or teacher to grade it using the ACT rubric. Check your answers and continue to update your error log. If you slacked on previous practice test weekends, you can do whichever test you missed this weekend. Review your error log and re-watch any lessons on topics you have continued to struggle with. Review last-minute test day tips once more and pack your bag. Do something you enjoy. Go to bed early for at least several days before the test. Review your list of last-minute pointers before you go into the testing center so you can walk into the test confident that you have put in three months of hard work and are ready to show it!